Cultural development has always been an important part of the IAO alongside with scientific competition. In this connection the Organizing Committee of the 16th IAO decided to organize a number of excursions and field trips for the participants to show them the cultural diversity of the country and beauty of this land's nature. 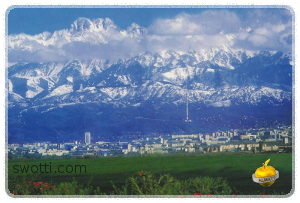 Around Almaty and inside of it there is a number of places that have gained a high popularity among tourists. Here for you is the list of the best attractions, some of which will be visited by all the Olympiad guests. "City of apples" is the largest and the most populated city of the country. The former capital is not very old — Almaty is younger then 200 years — but it has seen many important events. City tour will give you an idea about the city's architecture and life of common people. Opera is considered by many the most sophisticated art and every culture is adding some unique local flavor to it. That is why spending your night at the opera is the best way to learn about a culture and, sometimes, the history of the country. 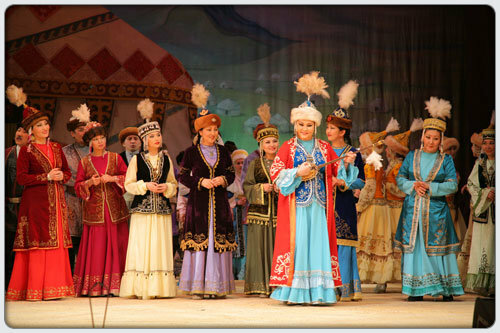 Abay Academic Opera and Ballet House have staged classic and contemporary works of many famous foreign and local composers, and the professionalism of the performers will make you remember the show forever. Image courtesy of Abay Academic Opera and Ballet House. Medeo is a skating ring located high in the mountains near the city. Once an important sports facility, it is now a public scatting ring in winter and in summer it is a popular place for newlyweds, nature fans and those who flee from the city heat. 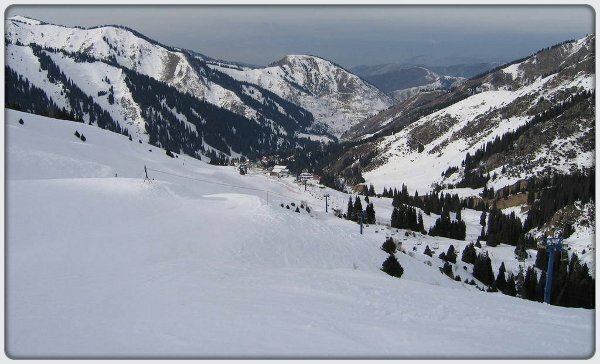 Shymbulak is a ski resort that is located in a 30 minutes drive from the center of the city. This place is loved by the city residents for its clean mountain air and beautiful sights. 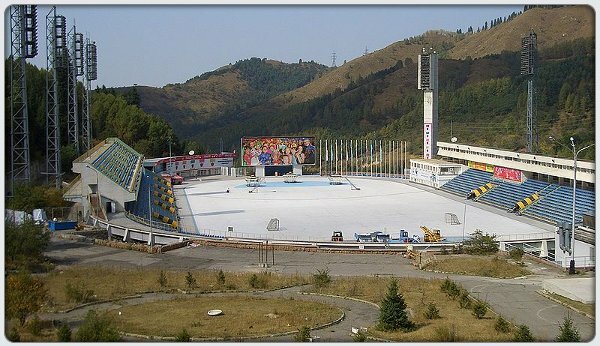 In 2011 Shymbulak hosted the Asia Winter Games. 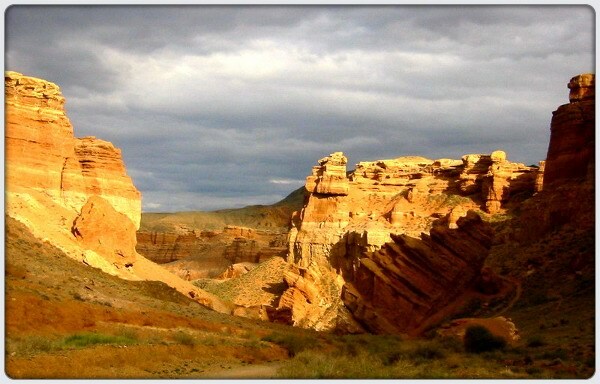 In the deserts, hundred of miles away from Almaty there is a hidden gem — the Charyn Canyon. It is often compared to the world famous Grand Canyon in the USA. Most of the residents of Almaty visited this place to experience the desert climate in an unrealistic landscape created by the Charin river. 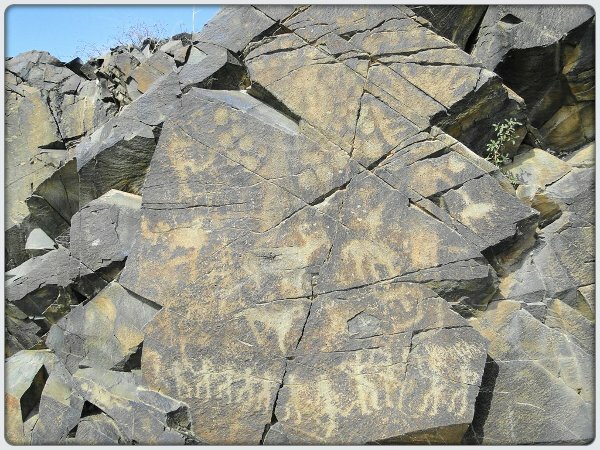 If you drive the same distance in the opposite direction from Charyn Canion you can find another treasure of the ancient desert — prehistoric images on the stones of Tamgaly. These stones have witnessed the life of people since the Bronze age and have saved for us images created by them. In 2004 the Tamgaly became a UNESCO World Heritage Site, because there you can get close to the past shared by all the humanity. This image belongs to Anton who has visited the Tamgaly and made lots of good photos that you can find on his page. Read more about Tamgaly on Wikipedia.